The luxury compact SUV craze has a new contender in the running– the DS 3 Crossback –On sale in 2019, the compact crossover will be sold as a pure electric car, or with petrol and diesel engines. The current DS 3 which is a three-door hatchback is being phased out and won't be replaced. 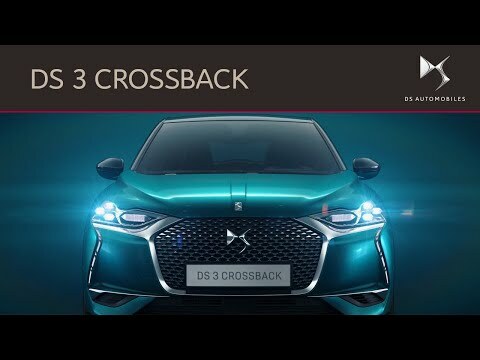 DS are planning to introduce six models to their new range, and the DS 3 Crossback will be the second of them, following the DS 7 Crossback. The All-New DS 3 Crossback is true to the values that shaped the DS 7 – modern, sophisticated and elegant. The DS 3 Crossback will be full of the latest technology, like DS Smart Access, which allows you to lock and unlock via the DS app, also allowing you to give access to relatives to use their 'phones to open and drive it. Automated parallel parking, thanks to DS drive pilot and the DS 3 Crossback will automatically adjust the lighting, switching from full beam to dipped headlights without blinding others drivers. E-Tense is the first 100% Electric vehicle from DS Automobiles.